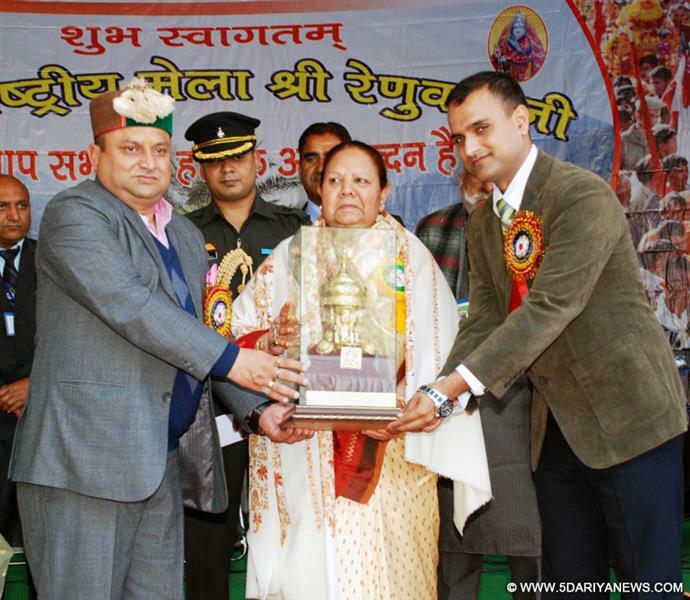 Himachal Pradesh governor Urmila Singh Thursday called for the development of tourism in the Renuka region that is linked with Lord Parshuram's mother Goddess Renuka.Addressing the concluding ceremony of the five-day International Renuka Fair in Sirmaur district, she said glimpses of rich tradition could be seen in such festivals which also go a long way in strengthening the bonds of brotherhood. "The fair has upheld the rich values of our society, a son's reverence for his mother which is the main highlight of the fair as Lord Parshuram visited his mother Goddess Renuka every year since time immemorial," she said. Urmila Singh said nature has blessed Himachal Pradesh immensely and its scenic beauty attracts lakhs of tourists every year.She said the Renuka area has huge tourism potential and efforts should be made to develop it further. This would not only increase tourist inflow but also generate employment for local youth. The governor also offered prayers at the Lord Parshuram and Mata Renuka temples and took part in a procession.